So, now I have tons of refashion projects to finish. Here is the first one. As usual I have forgotten to take the BEFORE picture. 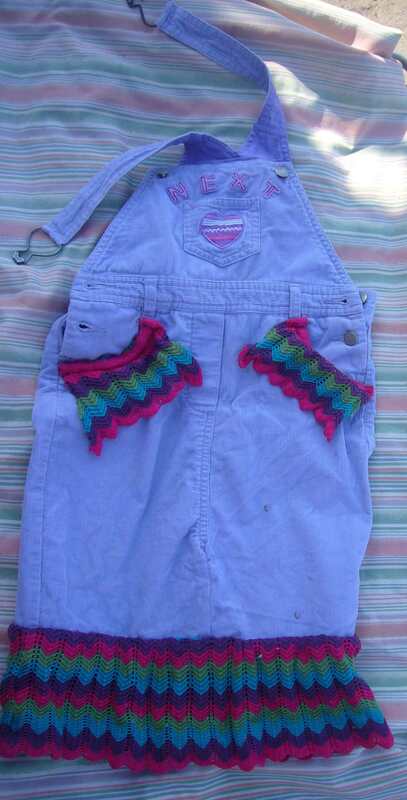 So, this was a jumper of my older girl and she grew out of it. 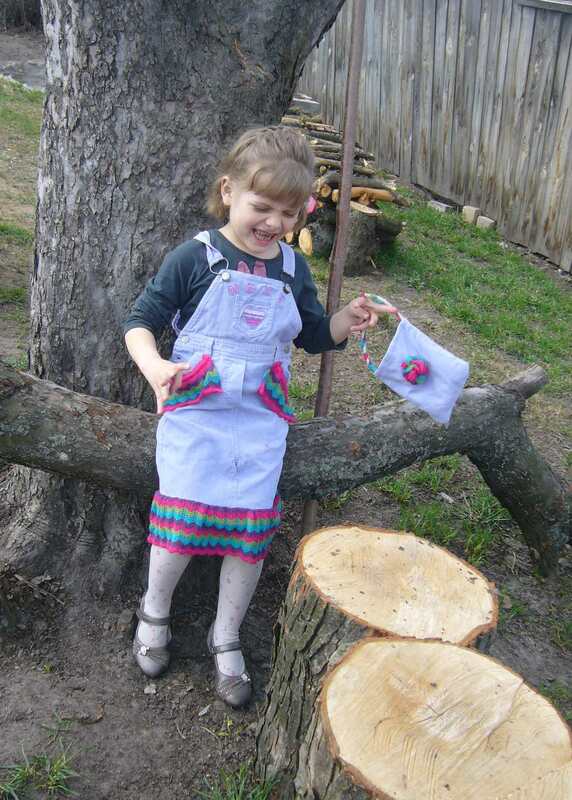 I refashioned it into a dress and a small handbag. I had a very colorful top I got for the daughter on a sale. It surely looked nice on the store shelf, but it did not fit her well. So, I used it for this jumper refashion. The top had ruffles on it, so I used them at the bottom on the dress and on the pockets. 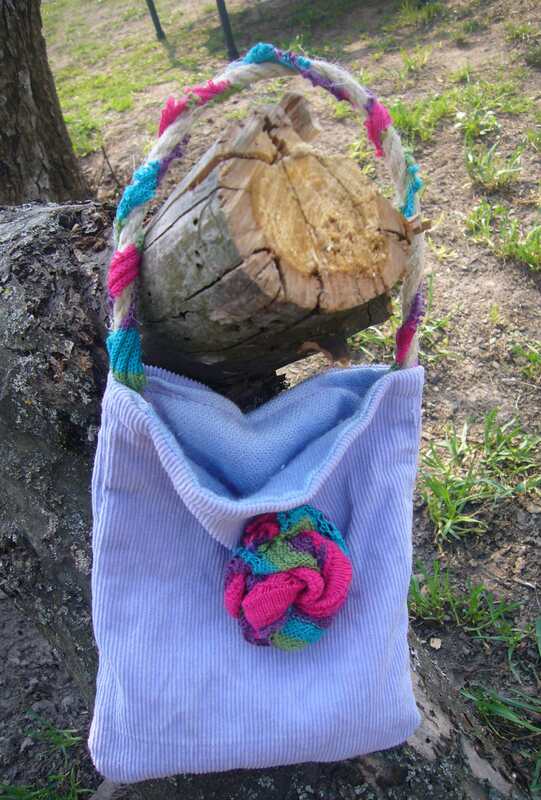 I have made a small handbag out of the scraps of the jumper and decorated it with a rolled fabric flower made out of the top. I have also made a headband out of the top. So, now my girl got a colorful set of things instead of one old jumper. It’s an easy refashion project and a great way to go green. 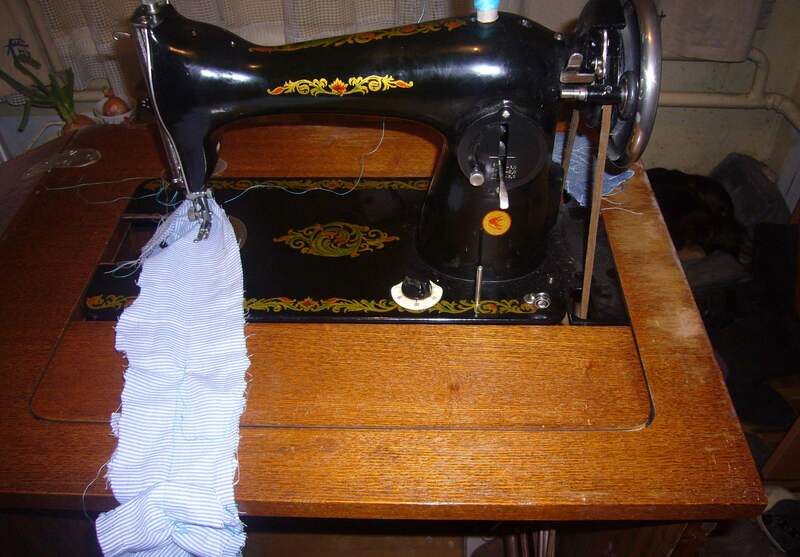 This entry was posted in Sewing and refashion projects and tagged crafts, DIY, DIY refashion, go green, handmade, kids jumper refashion, refashion clothes, refashion ideas, refashioning, Sewing and refashion projects, vintage sewing machine. Bookmark the permalink.